The Prime Minister’s Community Business Partnership has made available the first reports from Giving Australia 2016. More Giving Australia 2016 reports will be released progressively in 2017. 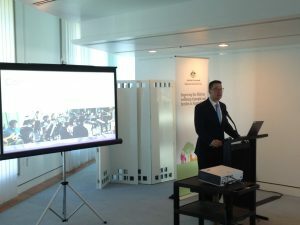 Senator the Hon Zed Seselja, launched Giving Australia 2016, Australia’s largest review of giving and volunteering, at Parliament House on 1 Dec.
“The Commonwealth Government provided $1.7 million for Giving Australia 2016 to better understand how and why Australians give and volunteer, how much they donate and how these factors affect our non-profit and philanthropy sector,” Assistant Minister Seselja said. 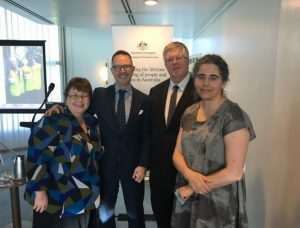 The largest ever project of its kind, the research examined the giving behaviours of both individuals and business, with the intent of forming a strong evidence base to guide future policy related to charitable enterprise in Australia. those who volunteer their time are also the most generous with financial donations contributing an average of $1017 – nearly double that of non-volunteers. 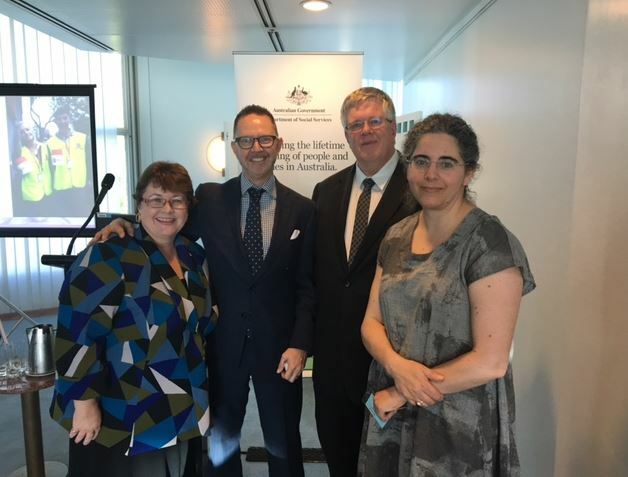 “I know that Giving Australia 2016 will be of real benefit to Australia’s nonprofit sector and the people they help every day, and I am sure it will help foster an even greater culture of giving across Australia,” Senator Seselja said. Findings will continue to be released into 2017 and will inform policy and practise in the philanthropy and nonprofit sector, so watch this space! The Hon Zed Seselja made mention of the generosity of this lovely 90-year-old-lady, Stasia at the launch. Find out about the joy she receives by giving and volunteering. 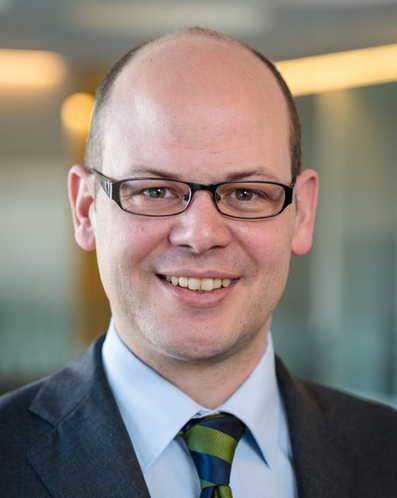 Georg von Schnurbein is Associate Professor and director of the Center for Philanthropy Studies (CEPS) of the University of Basel. Steffen Bethmann works as researcher at the CEPS and is a doctoral candidate in sociology at the University of Heidelberg in Germany. Switzerland is a country that is mostly known for its direct democracy, beautiful mountain sceneries and its comparable high standard of living. But Switzerland also has a strong civil society and a thriving philanthropy sector. The country might have the highest density of foundations in the world and ranks second after the Netherlands in term of people engaged in volunteering. About three quarters of the population above fifteen say that they donate regularly to social or environmental organizations. Historically, in Switzerland many welfare services were first developed and financed by civil society. The pension insurance as well as subsidies for people in need were founded privately before becoming institutionalized. Even though spending on social services is increasing, a strong sense of civic responsibility persists due to an enduring liberal tradition. The federalist structure of the country and the direct democratic system offer many opportunities for private participation and stimulate widespread engagement for the public welfare. An estimated total of 90,000 nonprofits for a population of eight million inhabitants prove the thriving significance of the philanthropic sector. The sector’s collaboration with the state is based on the principle of subsidiarity, where social and political matters are handled at the most local level possible. However, the nonprofits preserve a high degree of independence in both agenda setting and financial earnings. Especially the foundation sector has shown a strong development over the last decades. About half of the 13,000 existing foundations were founded in the past 20 years. There are 16 foundations for every 10,000 inhabitants. However, due to the liberal laws little is known about their wealth and distribution of funds. There is no obligation to publish any financial data to the public. One lead are the results of a self-declaration of the around 110 members (grantmaking foundations) of SwissFoundations in 2014. In total they gave around CHF 375 million (AUD 510 million). The main granting areas were Education, Research and Innovation (34%), Social (26%), Culture (20%), International Development Aid (15%) and Environment (5%). The total amount of foundation grants in Switzerland is estimated to be around CHF 1.5 – 1.8 billion (AUD 2.3 – 2.5 billion). Research about private donations shows more accurate numbers. The estimations are based on representative telephone interviews. Additional to large single donations the median donation per person per year is around CHF 250 (AUD 349). Around 12 percent donate amounts greater than CHF 1,000 (AUD 1,370). The total equals up to around CHF 1.4 billion (AUD 1.9). Interestingly the donation behavior differs in the German and French speaking parts of Switzerland. In general, households in the German part give more, and more frequently. The difference may be explained through differing cultural views on the responsibility of the state in providing welfare services. However, many donations are also given to international organizations, which work in developing countries. The high amount of individual and organisational giving is to be seen partly in the high amount of disposable wealth within the Swiss population. To hear examples of large donations above CHF 20 million to Zoos or Museums is nothing irregular. Some of these are made anonymously as the Swiss tradition normally does not honor speaking loudly about charitable giving. At the same time there are efforts ongoing to establish a Swiss Giving Pledge and to bring the philanthropic engagement of wealthy Swiss more into the public. Philanthropy by individuals, companies and grantmaking foundations is stimulated by the population’s disposable wealth, the nation’s liberal legal framework that is simple to use in practice and the international perspective. Switzerland combines a high standard of financial services and legal stability with access to international organizations and networks. This combination makes the nation attractive for both (ultra) high net worth individuals and international nonprofits.